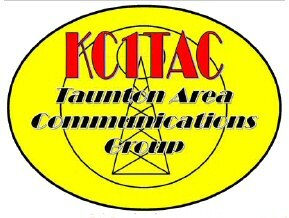 The Taunton Area Communications Group is proud to present Vadim Afonkin, KB1RLI from Amateur Radio Direction Finding and Orienteering to give us a presentation on the many facets of Foxhunting and ARDF. Please follow the attached link to find out more about Vadim. This presentation will be at the TACGroup’s regular meeting of March 21, 2011 starting at 7:00 pm. We meet at Morton Hospital and Medical Center, 88 Washington St. in Taunton, MA in the Margaret Stone Conference Room. A short business meeting will precede the presentation. If you have ever wondered about foxhunting or participated in an event this will be a great time to find out more of the finer points and techniques form a master of the sport. Please pass this email along to all your club members and associates. This is not just for amateurs. This presentation is for anyone interested in foxhunting and direction finding. We look forward to seeing you March 21 @ 7:00 p.m. at Morton Hospital and Medical Center, 88 Washington Street, Taunton, MA.